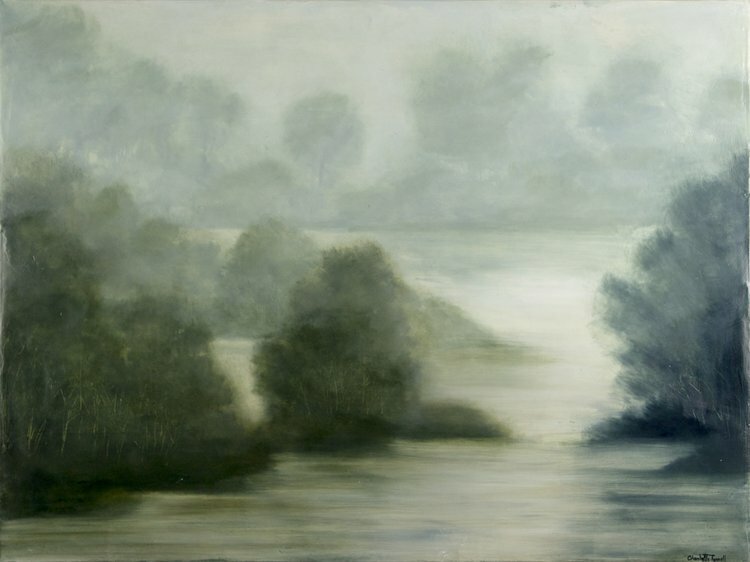 These idealized landscapes are fictional places intended to be universally familiar to the viewer, a present moment in time. I love working with the tactile nature of the plaster, the labor of polishing the surface, revealing layers, pooling juicy paint, and pouring glossy translucent glazes over the surface. 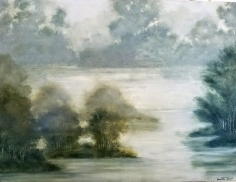 Charlotte Terrell began her arts education in Columbus, Mississippi, where she grew up with an admiration for fine art, and historical architecture of antebellum homes. Waverly plantation, once owned by Charlotte’s great, great- grand father, with its finely adorned construction and works of art, were her introduction to 19th century painted finishes. 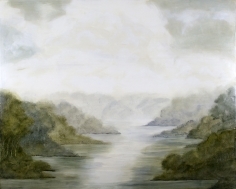 Her work in mixed media is grounded in century's old painted finishes, and trompe-l'oeil techniques. After receiving her degree from the University of Georgia, she began work as a landscape architect for New York City Department of Parks. There she participated in the restoration of 19th century park landscapes of Central Park and other historic landscapes and landmarks. Charlotte continued her art education at Parsons School of Design. She apprenticed with master finisher, Ina Marks, of the Isabel O'Neil School of Antique and Art Restoration, to learn the craft of mid 19th century decorative painting. 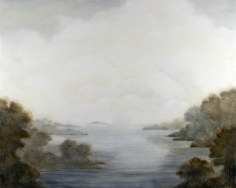 Charlotte’s decorative painting techniques have naturally translated into fine art with a tactile nature using plaster and polishing the surface. Her dream like landscapes is a result of pooling juicy paint and applying layers of glossy, translucent colors to the plaster surface. These paintings conjure the timeless landscapes of Jane Austen’s England, and those of Central Park and her ancestral home.